Arkadiusz Reikowski is beginning to develop a sound for his horror games. 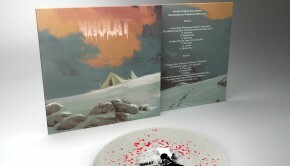 First, his soundtrack to Kholat combined ambiance with strikingly beautiful vocal tracks; then, Layers of Fear leaned far more towards the horror-ambient genre. 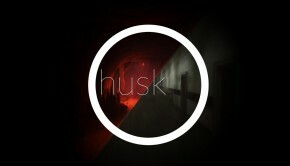 Husk seems to bring Reikowski’s experiences together while taking him in a new direction. He seems to have returned to mixing track genres, but this time he is working with both new techniques and new musicians for a different direction from his previous work. “Main Theme” is an eerie opening track with a surprisingly catchy melody – for a soundtrack that has the potential to take a more typical horror-typical atmospheric approach, its delicate piano opening is refreshing. Reikowski invites vocalist Penelopa Willmann-Szynalik to work with him again, the two having previously worked on Kholat. Her vocals show up from the very first track, accompanying the piano alongside a few wispy atmospheric sounds. Additionally, the music utilizes a static effect – found frequently across the score – and a muted set of instruments to give the entire album a subtle vinyl effect. Much of the album incorporates heavy ambience with snippets of the main melody. Penelope returns on “The Train” to sing parts of the melody against a heavily filtered piano playing the other parts. The entire track takes place against a backdrop of a muted train rhythm. “Shiverpeak” opens with the melody before fading into ambience that becomes more intense as the track progresses. “The Feeling of Guilt” takes the melody up a couple of octaves, and “Lighthouse” brings the vinyl effect back more strongly before beginning. Those are Reikowski’s own tracks; however, Reikowski also invites several artists to the soundtrack over the course of the album, each of whom bring new sounds to the music. Jacek Zajac contributes a sort of blues-lounge fusion to “Diner’s Club” with a funky rhythm, a couple carefree guitars playing jarring chords, and an electric organ sound. “I Hate Dolls” uses the familiar muted percussive sound – this time, a drumset – as the focal point of several ambient chords, occasionally accompanied by a meandering melody. “Missing Elements” is another percussive themed track, this time with a more prominent range of effects. Synth artist Vera Broeske is brought on for this track, and the rhythm on it really does pop more than its percussive predecessors. Finally, Peter Klett sings the punk-rock closing song titled “Road With No Return.” After the softly crackling, muted rest of the score, Klett’s contribution to the score sits in stark contrast with a set of grungy guitars far more center-stage than those in “Diner’s Club,” and Klett’s melancholy, punk-rock voice singing alongside them. It mirrors the closing track of Kholat in terms of functionality, but the sound couldn’t be more different: grating, gritty, and raw. All in all, Husk has some high and low points. Reikowski’s decision to incorporate several guest artists was ultimately successful – it gives a much wider range of sounds than the album would have had otherwise. Some of the tracks are downright fun to listen to, and others, like the main theme, have thoughtful moments that are quite successful. There is some picking and choosing that has to take place while listening to the album – it is not one that can easily be listened to straight through. 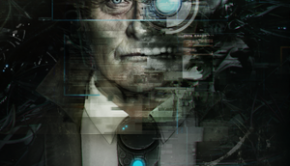 However, it is a solid collection of tracks for the game, and it is rewarding to see Reikowski pushing his own style. Posted on March 31, 2017 by Emily McMillan. Last modified on March 31, 2017.